We are glad to announce Pydio Cells 1.2.2, which brings new features and improvements! [Update 2018/12/06] : a blocking issue was discovered on some system that could prevent a successfull startup. We just released Cells 1.2.3 containing a fix for this. Clustering of the discovery infrastructure allows to start individual services on different nodes and register them automagically to the central gateway. Data Sources can also be started on various nodes to achieve data aggregation from distributed storages (please read the Upgrade Notes below as it may have an impact on your datasources after first restart). The associated Admin > Services panel has been improved for better visualisation and supports filtering services by nodes. We will publish some dedicated documentations for HA Setup soon. Use Multipart Upload for big files (file chunking and concurrent uploads of parts), improving performances and progress visualisation, and allow to Pause/Resume long-running uploads. 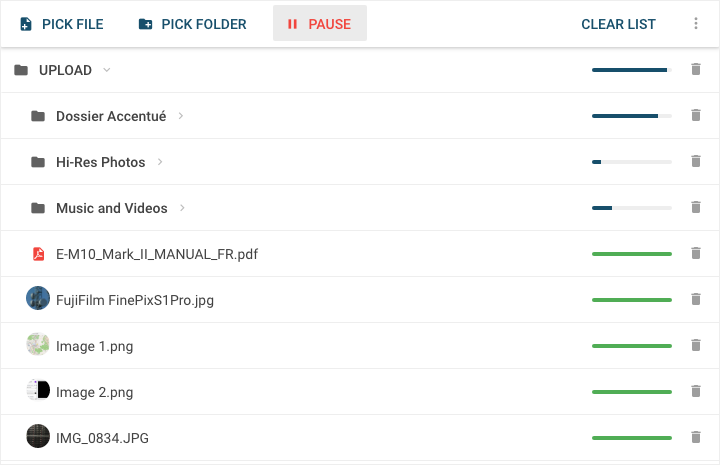 When uploading existing files and folders, options allow to either merge folders contents (while renaming files) or rename folders directly. We integrated OnlyOffice editor, a powerful platform for MS Office Documents online and collaborative edition. New objects storage are now supported for creating Data Sources: Azure Blob Storage and Google Cloud Storage. They will transparently benefit of all Cells features like automatic versioning and encryptions. Using Cells as a unique access point to manage all your object storages, you can create workspaces from any source, and move files accross storages easily. If you are binding to port 443 or 80, make sure to apply necessary permissions to the new binary (setcap) before restarting. When defining DataSources, you have to chose a "Peer Address", which is the internal IP of the node where Cells is running. 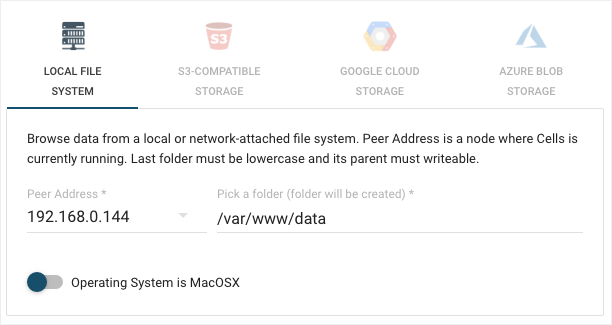 Cells 1.2.2 uses this PeerAddress to decide whether a DataSource must be started on a given server or not. So when you restart, if your workspaces are empty and the "Admin Console > Storage" panel shows that datasources services are not started, you probably have to review your datasources PeerAddress, set them to a correct value, save the datasources, and then restart the server. Keyring is not necessary to be available on OS anymore. It is used if it's available, but we use our own sealed vault if not. Cells quick creation: when creating a Cell from scratch, one can directly create it without going through the steps of adding users and data. You can see the detailed changelog on Github.